Photo Credit: Christopher Michel under CC BY-NC-SA 4.0. Foreign direct investment into Myanmar has increased dramatically over the past few years, rising from US$3.35bn in the 2013/14 fiscal year to US$6.62bn in the nine months to the end of 2014. Given continued inflows since the start of the new year, the growth in investment has exceeded 100% year-over-year. Although Myanmar does allow 100% foreign ownership in many sectors (subject to select prohibitions, licences and joint venture requirements), more than half of the investment last year was routed through Singapore. As the richest member of the ASEAN bloc, Singapore has a lot of capital that it can deploy as investments in Myanmar. Singapore’s contribution of US$3.8bn to the US$6.62bn is also bolstered by its popularity as a regional headquarters for foreign firms. Hong Kong, another popular place for international firms’ Asian headquarters, is third on the list with US$455m, behind the UK’s US$563m and in front of the Netherlands, China and India. 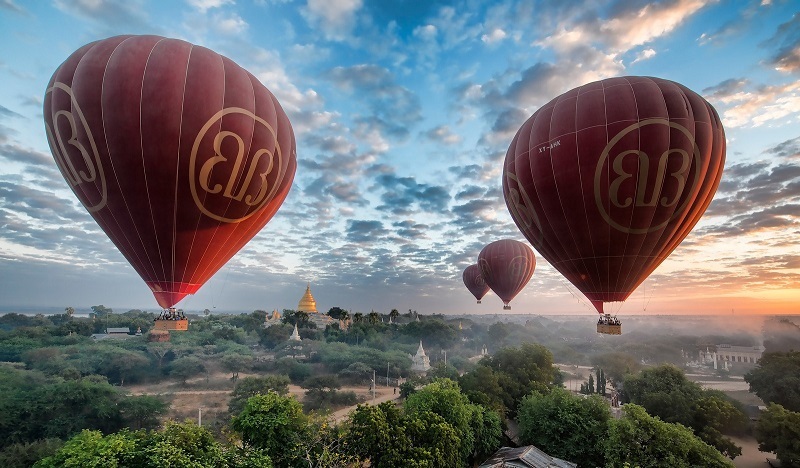 Why Myanmar has become popular as an investment destination? Until 2011, Myanmar was heavily sanctioned by the US and other countries for perceived human rights abuses. Following improvement in the practices of the country’s military-controlled government, those restrictions were lifted. Given Myanmar’s location where India, China and south-east Asia meet, its location is attractive as a logistics hub. In addition, the long-time closure of the country has meant that labour costs remain low at around US$50/month for unskilled labour and US$400/month for skilled workers. This means that some manufacturing and services businesses can establish themselves in Myanmar to serve the richer countries in the region. This influx of investment and jobs will bring more money to the people of Myanmar, so further investments have been made to take advantage of their increased wealth. Growth in investment has been particularly sharp due to the rate of reform within the country – the economy was liberalized in 2012, its company registration procedures were simplified in 2013 and the first stock exchange opened in Myanmar in 2014. 2013 was the pivotal year for investment growth, as the relative ease with which it is now possible to set up a company spurred the pace at which investment can take place. There are two administrative regimes under which foreigners can make direct investments in Myanmar. The first, and most common method, is under the Myanmar Companies Act. The second route is to register a company under the Myanmar Foreign Investment Law (MFIL). The latter route is more complex and requires a greater quantum of investment, needing a minimum share capital of US$500,000 – ten times the amount necessary under the Companies Act. However, companies created under the jurisdiction of MFIL enjoy tax holidays and other tax and non-tax incentives covered by Article 27 of the Foreign Investment Law. 50% of the capital must be remitted to Myanmar before the grant of a “permit to trade” (see below), with the remainder being invested within 12 months. Whichever path you choose, all companies in Myanmar have the same basic requirements: there must be two shareholders and two directors. Fortunately, there is no requirement for any of the directors to be citizens of, or resident in, Myanmar. Incorporation and licensing under the MFIL takes 4-6 months, whereas 2-3 months is typical for a company set up through the Companies Act. A lease of land and/or property. All foreign-invested companies must then apply to the Directorate of Investment and Company Registration (DICA) for a permit to trade, which is valid for three years for companies formed under the Companies Act; the MIC may impose different conditions for MFIL companies. Following the issue of a permit to trade, incorporation is pursued at the Companies Registration Office, which attracts a government fee of approximately US$1,000. Branches of foreign companies may also be established with the same steps as for a Companies Act company. However, they may only be used by service, manufacturing and oil/mining companies. Certain sectors continue to suffer from restrictions on foreign investment. These restrictions are covered by Article 4 of the Foreign Investment Law. For more information on the list of restrictions and examples of how these are applied, Allen & Overy has a useful PDF guide. If you have been considering investing in Myanmar and would like advice on how to move forward, as well as project management of the incorporation process, Healy Consultants Group PLC has helped clients to register companies in Myanmar since liberalization. For more information on investing in Myanmar, visit our pages on Myanmar business registration.